Like many small business owners, traders eligible for trader tax status (TTS) are considering to restructure their business for 2018 to take maximum advantage of the “Tax Cuts and Jobs Act” (Act). Two tax benefits catch their eye: The 20% deduction on pass-through qualified business income (QBI), and the C-Corp 21% flat tax rate. There are two components for obtaining a 20% deduction on QBI in a pass-through business. 1. QBI: I’ve made some excellent arguments over the past few months in my blog posts for including Section 475 ordinary income for TTS traders in QBI, but the Act did not expressly confirm that position. I am confident that Section 475 is part of QBI, so consider that election for 2018. The law only counts QBI from domestic sources, which may mean trading activity in U.S. markets, but not foreign markets and exchanges. I’ve also suggested that TTS “business-related” capital gains should be includible in QBI since the Act excludes “investment-related” short-term and long-term capital gains. For now, I assume the IRS may reject all capital gains. 2. SSA vs. non-SSA: Assuming a TTS trader has QBI on Section 475 MTM ordinary income, the calculation depends on whether the business is a specified service activity (SSA) or not. I’ve made some arguments on why a trading business could be a non-SSA but based on the new tax law, TTS traders should assume their business is an SSA. For example, if a TTS trader has 2018 taxable income under the SSA threshold of $157,500 single and $315,000 married, and assuming the trader has Section 475 ordinary income, then the trader would get a 20% deduction on either QBI or taxable income less net capital gains (whichever is lower). The 20% deduction is phased out above the SSA threshold by $50,000 single and $100,000 married. If taxable income is $416,000, above the phase-out range, the married couple gets no QBI deduction at all. A QBI deduction is on page two of the Form 1040; it’s not an adjusted gross income (AGI) deduction or a business expense from gross income. TTS is a hybrid concept: It gives “ordinary and necessary” business expenses (Section 162). A trader in securities and or commodities (Section 1256 contracts) eligible for TTS may elect Section 475(f) mark-to-market (MTM)) accounting, which converts capital gains and losses into ordinary gains and losses. In the new law, QBI excludes a list of investment items including short- and long-term capital gains and losses. I don’t see how an IRS agent could construe Section 475 ordinary income as capital gains. I look forward to the Congressional analysis in the”Blue Book” for the General Explanation of the Act — hopefully, this will shed further light on my questions. Some traders may prefer to wait for IRS regulations on these Act provisions and other types of IRS guidance. Hopefully, big law firms will form a consensus opinion on this issue for their hedge fund clients, soon. Congress may not have envisioned the pass-through deduction for hedge funds and TTS trading companies, and they may fix things through interpretation or technical correction to prevent that outcome. Don’t only focus on the federal 21% flat tax rate on the C-Corp level; there are plenty of other taxes, including capital gains taxes on qualified dividends, potential accumulated earnings tax, a possible personal holding company tax penalty, and state corporate taxes in 44 states. For 2018, TTS traders should consider a partnership or S-Corp for business expenses, and a Section 475 election on securities for exemption from wash sale losses and ordinary loss treatment (tax loss insurance). Consider a TTS S-Corp for employee benefit plan deductions including health insurance and a high-deductible retirement plan, since a TTS spousal partnership or TTS sole proprietor cannot achieve these deductions. Consider this the cake.It puts you in position to potentially qualify for a 20% QBI deduction on Section 475 or Section 988 ordinary income in a TTS trading pass-through entity – icing on the cake. If a TTS trader’s taxable income is under the specified service activity (SSA) threshold of $315,000 (married), and $157,500 (other taxpayers), he or she should get the 20% QBI deduction in partnerships or S-Corps. Within the phase-out range above the threshold, $100,000 (married) and $50,000 (other taxpayers), a partial deduction. QBI likely includes Section 475 and Section 988 ordinary income and excludes capital gains (Section 1256 contracts and cryptocurrencies). It might be a challenge for a TTS sole proprietor to claim the pass-through deduction because Schedule C has trading expenses only; trading gains are on other tax forms. I suggest you consult with me about these issues soon. 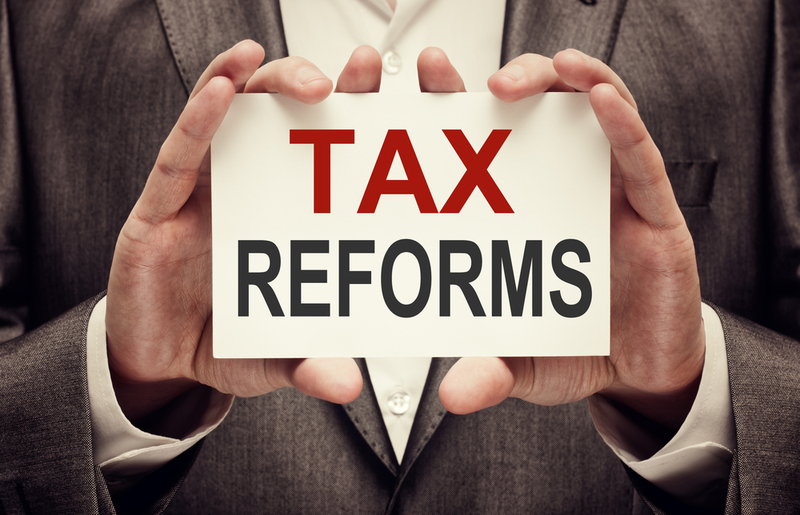 This entry was posted in 2017 Tax Cuts and Jobs Act (TCJA), Tax Changes & Planning and tagged tax cuts, tax reform on January 12, 2018 by Robert Green.